Many people feel like they are trapped in a cage when they need to spend some time in their homes. Others know better and like to make the most of each second of spare time. They crave to get away from the overwhelming everyday stress without the need to go away. So, why not create a perfect sanctuary to read a book, take a nap, sit back and relax? Imbue a sense of serenity and quiet in the room where you will be safe from all the hustle and bustle of the modern living. You can pick virtually any room for your peaceful refuge, but it might need a complete makeover. No need to fret, though, because some simple, smart steps will take you a long way. To treat yourself with an in-home getaway, you first need to do some decluttering. Mess is a disruptive element we are all prone to, but one that needs to be dealt with. Decorative racks, bins and boxes are not only great de-cluttering tools, but also serve as cool accessories. Now, colour is a crucial backdrop that sets the tone and feel for the whole space. Soft tones like lilac or coral are the best way to create a soothing ambience, and the same goes for shades of white. Natural greens, beiges and blues also have a calming effect, but the most important thing is that it works for you. Just note that bright colors are the equivalent of loud sounds, and do not fit in a peaceful haven. The chances are that you already have some cozy furniture, but it is a good idea to do some rearranging.There is no better place for your favorite overstuffed sofa or lounge chair than by the window with a beautiful view. Make sure you have some plush throws and tender pillows to snuggle up as well. If you also put a small table with a decorative lamp there, then you got yourself an excellent spot to spend lazy afternoons. Instead of surrounding yourself with the tech devices that consume your mind with tasks, embrace the rejuvenating nature in your home. While a smartphone on the table can only distract your relaxation, a potted plant has an opposite effect. Natural elements are an invigorating presence in your home, and earth-themed décor is the best way to complement it. The ultimate trick is to indulge all your senses. Candles are inexpensive and effective way to invite a smell of tranquility in your home. Scents like jasmine and lavender have warm undertones and gently touch your mind and soul. Citrus gives a fresh, warm feel to the room, and cinnamon is another welcome guest. Group the candles in decorative dishes and fill one bowl with potpourri to create a small joyful spectacle. To brighten up the mood and achieve clarity of mind you can use also aromatic plant oils and other aromatic compounds. 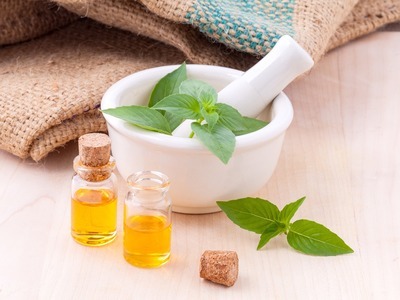 The exciting secrets of aromatherapy are a mystery to many people, but it is possible to acquire professional skills and even a diploma on websites like www.upskilled.edu.au. Find a way to incorporate all the fragrance into the décor and make it a treat for the eyes as well. Pleasant sounds can help you immerse further, especially if they come from flowing water in a tabletop fountain. Before considering any details and accessories, remove the clutter and elements that create visual noise. Pay attention to the colors, embrace pleasant scents and merge nature with the indoors. Comfortable furniture is an essential element of your relaxing shelter, so keep it simple, cozy and functional. With these changes you will also change the way you feel about your living environment. There is no place in the home like a relaxing room that features an enthralling symphony of sound, vision and scent.